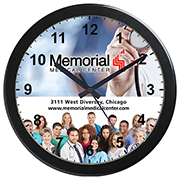 Promotional wall clocks are the best item if your client wants high visibility for their brand. 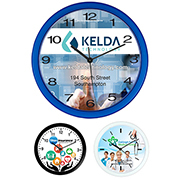 People have developed a habit of checking wall clocks even if they have the time of their wrist or on their gadget, which means that these items likewise promote brand recall. 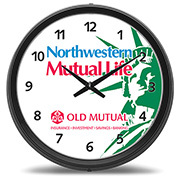 Our branded wall clocks come in varying sizes starting from 10 to 17 inches. They also provide more than enough space to print a logo or brand. 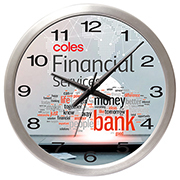 These customized clocks are made from high quality wood, metal, and glass, which can handle the elements quite well. 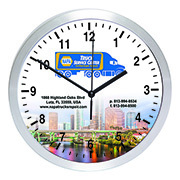 Innovation Line is a major player in the promotional items industry with over 30 years experience in supplying high quality customized products for thousands of companies. 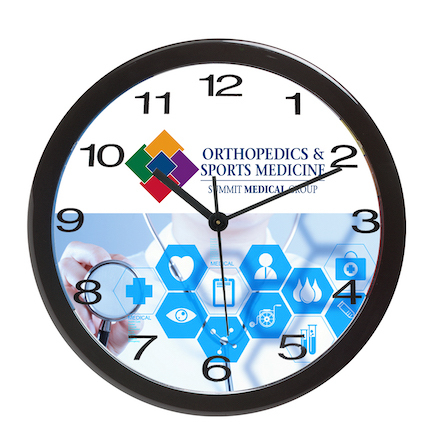 Experience our excellent service and top tier items by consulting with our very capable sales personnel.